Each vendor uses price positioning in relation to similar competitors' products. With the help of the new Competera product, the pricing specialist can analyze its brand products with respect to the like to like products. Head to Brand Benchmark section. Compile and Send the like to like product list. 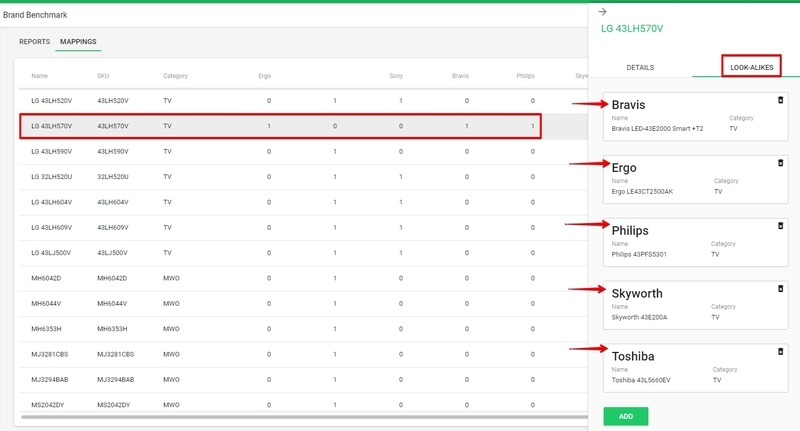 Next, the user continues to interact with the data in a separate table tab. On the left side of the table are the user's products, and on the right side in separate columns there are the like to like products per each brand. 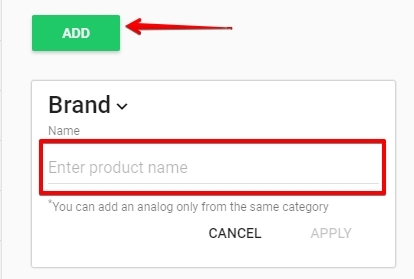 In order to see the existing intersection with look alike products, you need to click on the item row. The side menu will appear, go to the mapping tab. This menu allows you to delete irrelevant links or add new intersections. 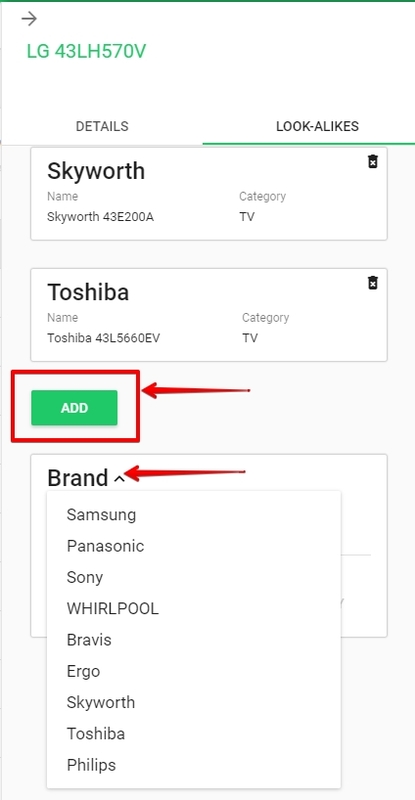 Click Add and select the desired brand from the drop-down list (previously added to the system). Move the cursor to the bottom empty field. A drop-down list of previously provided model users for this brand is available. Select the necessary product from the list. In the absence of an analogue product, we introduce the name corresponding to the general format of models for mapping. The added product will be added in the database for product match and within a few days information on prices will be available.